Whirley Life: Happy 4-Month Birthday to Parker! Happy 4-Month Birthday to Parker! I can't believe its been 4 months since Parker Hoover Worley was born! He has grown so much in the last 4 months, weighing in at 13lbs, 5 ounces and 24 inches. He is taller than 75% of the kids his age and in the 50% range for his weight. Thank goodness he got his mom's height - let's hope that we can add his dad's athletic ability to the mix - a star is born! 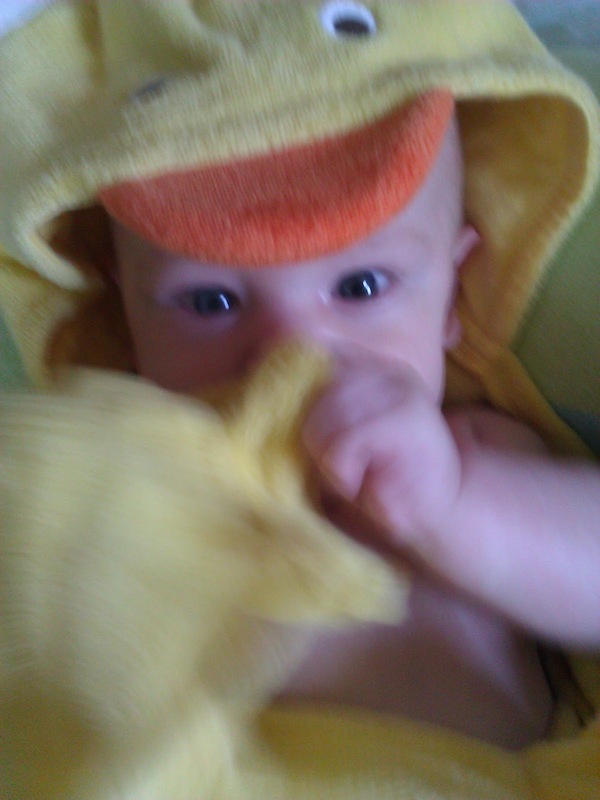 The time has flown by and in celebration of the big day and the time flying by, Parker has been using his duck towel post bath.